Check out the Chicago leg of the "Dropout Boogie Tour" tonight, October 28th. This double helping of the harder side of psychedelic is sure to rock a few faces off as The Black Angels and Black Mountain come in from Texas and Canada (respectively) to grace the stage at Metro. It's hard to tag either of these bands, as the original psych genre and its reverberations through the '90s sound limp compared with the full-blooded rock that Angels and Mountain play. They're certainly inspired by decades past, but they sound as though they've infused the sounds of the 20th century with new adrenaline. The Black Angels are perhaps the poppier of the two acts, loaded with upbeat riffs and hollered lyrics. 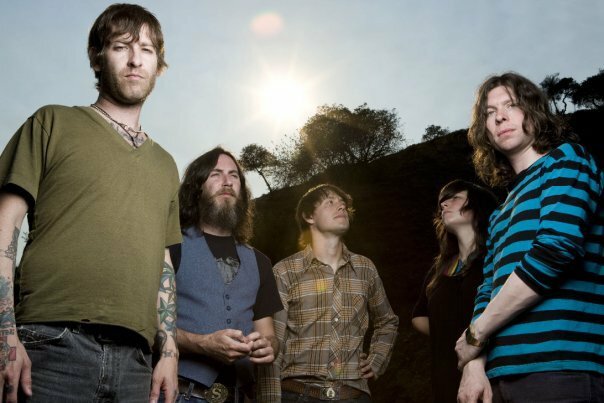 Black Mountain plays a range of powerhouse rock, from straight-up bluesy numbers to some proggier madness. I remember rocking out to their debut back in '05 and their sound has only gotten better since. Tickets to the show will set you back $19. Doors open at 8 p.m., the show starts at 9 p.m., and it is 18 and over.